DNC Bars Fox News From Hosting 2020 Primary Debates Democratic National Committee Chairman Tom Perez cites a report in the New Yorker about close ties between the Trump administration and the conservative cable news network. Following a report about the close relationship between Fox News and the Trump White House, Democratic National Committee Chairman Tom Perez said the Democratic Party will not allow the network to host any of its primary debates in 2020. 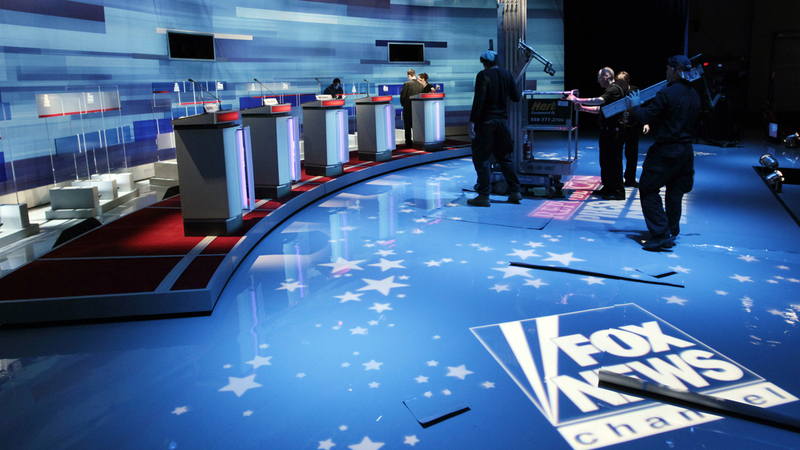 The Democratic National Committee will not allow Fox News to broadcast any of its 2020 presidential primary debates, citing a recent report about the close relationship between the Trump administration and the conservative cable network. "I believe that a key pathway to victory is to continue to expand our electorate and reach all voters. That is why I have made it a priority to talk to a broad array of potential media partners, including FOX News," DNC Chairman Tom Perez said in a statement Wednesday. "Recent reporting in the New Yorker on the inappropriate relationship between President Trump, his administration and FOX News has led me to conclude that the network is not in a position to host a fair and neutral debate for our candidates. Therefore, FOX News will not serve as a media partner for the 2020 Democratic primary debates," the statement adds. The decision comes after a lengthy article by Jane Mayer in the New Yorker detailed the increasing coziness between Trump and the network, which has long had a conservative tilt but which one source in the piece calls simply "propaganda" and effectively Trump's "own press organization." The president responded on Twitter on Wednesday evening to the DNC's announcement, suggesting that he might block media outlets that he disfavors from holding debates during the general election phase of the 2020 campaign. "Democrats just blocked @FoxNews from holding a debate," Trump wrote. "Good, then I think I'll do the same thing with the Fake News Networks and the Radical Left Democrats in the General Election debates!" Former Fox News President Bill Shine is now the White House communications director, and Trump has given dozens of exclusive interviews to Fox while eschewing other networks, often deriding them as "fake news." Host Sean Hannity has appeared as a special guest at Trump rallies, and in the New Yorker story, he is referred to as essentially "a West Wing adviser." Among many other details in the New Yorker article, Mayer also writes that former Fox News Chairman and CEO Roger Ailes, who died in 2017, had tipped Trump off to some debate questions during the 2016 cycle. This includes a now-infamous clash with then Fox News anchor Megyn Kelly over his past comments about women, though Kelly has said she does not believe Trump received the question in advance. Another source had allegedly alerted Trump that there would be a question about whether he would eventually support the Republican nominee. In a statement, Fox News Senior Vice President Bill Sammon pointed to the network's intent to have a debate hosted by its news anchors, as opposed to its prime-time opinion hosts, as evidence of why Democratic Party leadership should rethink the decision. Fox News was set to host one Democratic primary debate in 2016, but it was late in the primary campaign and never happened. "We hope the DNC will reconsider its decision to bar Chris Wallace, Bret Baier and Martha MacCallum, all of whom embody the ultimate journalistic integrity and professionalism, from moderating a Democratic presidential debate," Sammon said. "They're the best debate team in the business, and they offer candidates an important opportunity to make their case to the largest TV news audience in America, which includes many persuadable voters." Wallace, who also hosts Fox News Sunday, has often pushed back on the Trump administration, including a recent inaccurate talking point over how many terrorists were coming through the Southern border. Party committees expressing their frustration over news coverage by denying networks debates is nothing new. In 2015, the Republican National Committee announced it was suspending NBC News from hosting any future debates, citing "inaccurate or downright offensive" questions during a CNBC primary debate. A previous version of this story misspelled Jane Mayer's last name as Meyer.